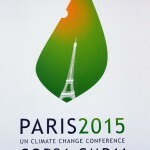 I’m off to Paris this weekend as a delegate to the UN’s climate change conference. This is a world event and I will be there in my role as chair of the Commonwealth Parliamentary Union. The event will provide a welcome platform for parliamentarians from across the globe to debate issues of major importance to their own constituents. This part of Somerset is well placed to contribute to the debate. We have Hinkley C, for example, and a major tidal lagoon to be built along the West Somerset coast to harness some of the massive forces in the Bristol Channel. These two projects are going to put this area at the forefront of renewable energy generation, and it is the sustainable use of renewables which is going to dominate much of the conference agenda.